As those of us here in the Northeast dig ourselves out of a massive snowfall, I'm thinking ahead to a cozy Valentine's Day, and I'm thrilled to be partnering again this year with Robin Wilson Home for her newly launched line of quilts at Bed Bath & Beyond. It's the perfect way to add a romantic refresh to your bedroom this Valentine's Day! Ideally, I'd be one of those "sophisticated adults" swapping out my bedding seasonally, but with kids I find I'm constantly washing our bedding anyway (they somehow end up in our bed every night), and I don't have long to admire it. However, with our recent bedroom update, I'm determined to change that and am looking forward to refreshing our bedding in time for Valentine's Day. Robin Wilson Home is dedicated to eco-friendly, hypoallergenic design - a feature I highlighted when I first featured her Bed Bath and Beyond product launch. With her new line of quilts, Robin Wilson Home's four patterns are hypoallergenic, yet beautiful options that will make a romantic bedroom refresh so easy this Valentine's Day. The hardest part is deciding which pattern to select! 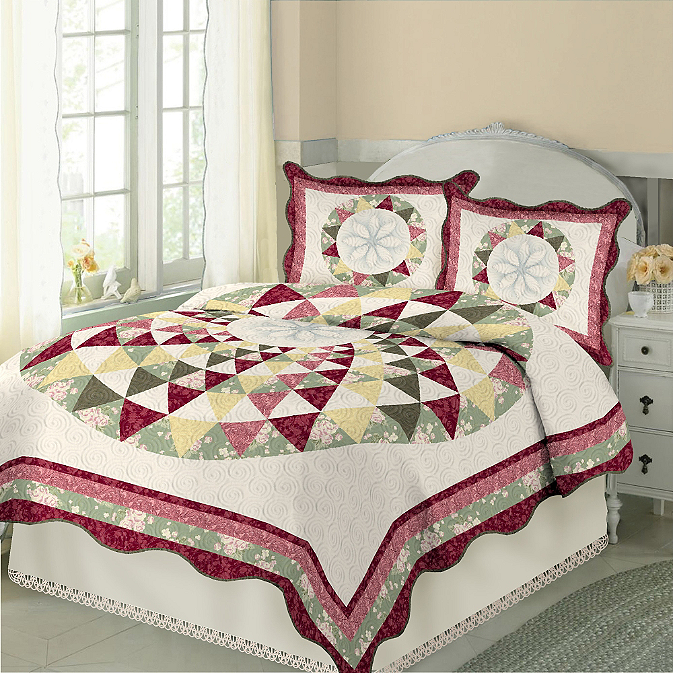 This classic quilt is handcrafted with a combination of traditional and modern design. Sophisticated hues of blues, mixed with charming floral patterns create a soothing palette. 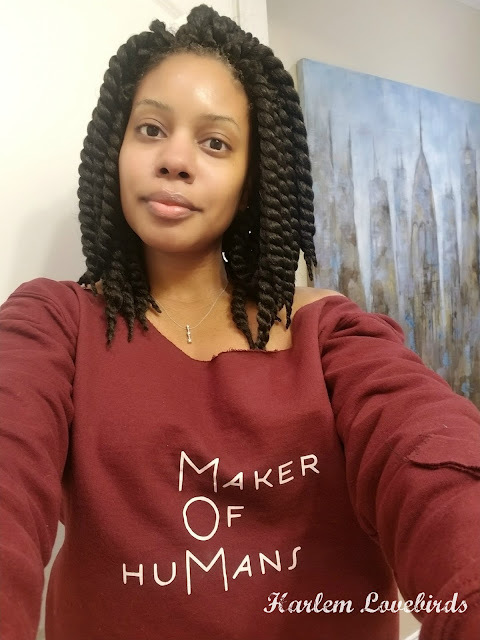 Inspired by the style of the hometown of the designer. This refined quilt is inspired by map and architecture design. Handcrafted on textured off-white cotton, with a stylish palette that evokes simplicity and details familiar to global travelers. Pastel palette of lilac and sage, with a floral detail, and fabrics in grid and diamond patterns. Inspiration for the Sophia quilt is travel to Italy – with rich color and a dynamic patched circular design. Handcrafted with thousands of quilted stitches on an off-white cotton, and embellished with a floral and layered detail. Rich reds, polished pinks with gold, greens and florals showcase a dynamic design with a modern touch. Solid double stitching with a scalloped border. 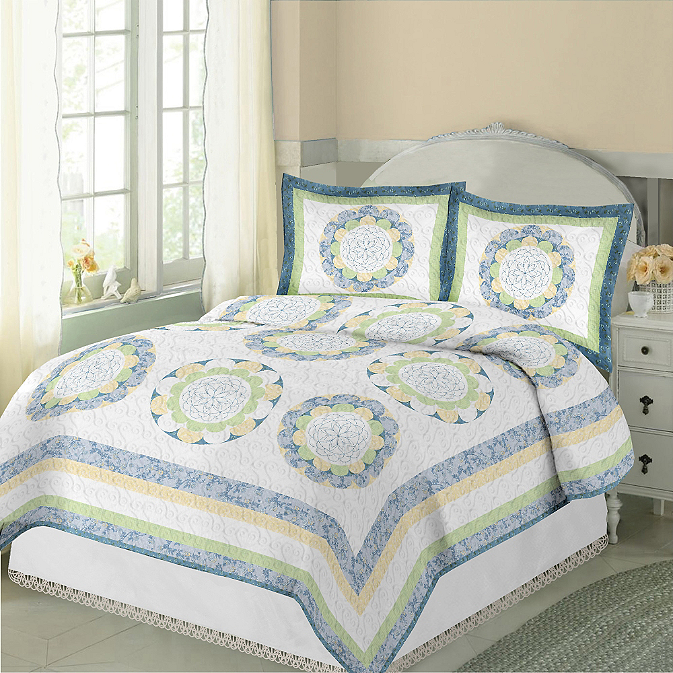 Inspiration for the Caroline quilt by Robin Wilson Home comes from the sunny days of a holiday vacation. The Caroline collection is handcrafted and features an oversize kaleidoscope pattern and pops of sea blue, fresh yellow and mint green on an off-white textured fabric. Elegant, with a modern touch and a tailored border to frame detailed patterns. 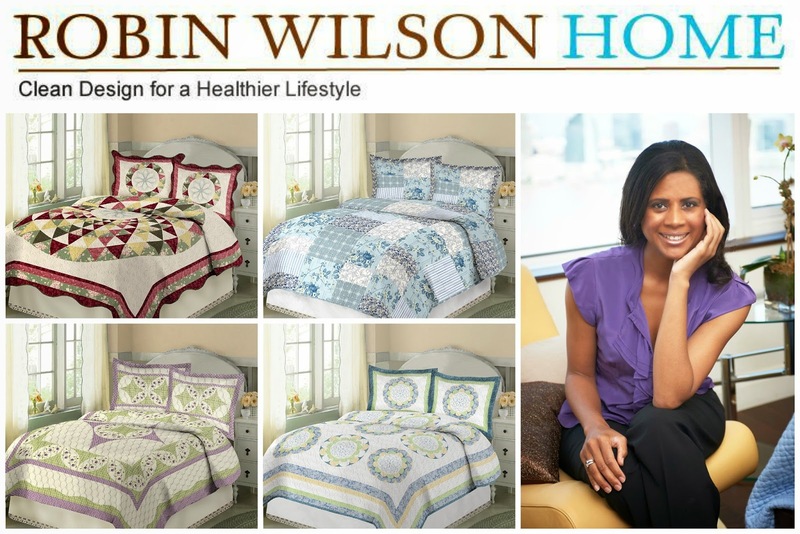 While I'm trying to make up my mind between Sophia and Caroline, Robin Wilson Home has generously offered Harlem Lovebirds' readers a chance to win a grand prize of a queen size quilt in the print of your choice ($129.99 value) and a runner-up prize of 4 Robin Wilson Home standard pillows. To see the full line of Robin Wilson Home offerings be sure to visit Bed Bath and Beyond's website and follow Robin Wilson Home on Twitter, Instagram, Pinterest and Facebook for the latest product news.